Every time I hear someone talking about the lack of boy books I die a little inside. Books have no gender. The lack of boy books is not a problem1; the problem is adults assuming boys will only read books about boys. 1) The assumption is that boys are only interested in boys and thus have zero interest in girls. That’s a terrible assumption because in assuming it we teach it. 2) Boys are all the same. When we think boys are all the same we mostly imagine that they’re white, straight, able-bodied, cisgendered and interested only in stereotypical boy things like sports. What about all the boys who don’t fit those categories? 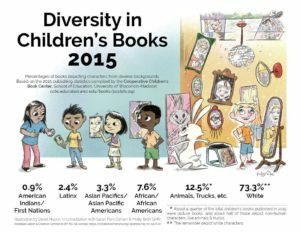 Children’s and YA publishing remains overwhelmingly white. In this never-ending debate about getting boys reading it’s often forgotten that there are also girls who don’t read, as well as non-gender conforming kids. What about them? Beyond that every teacher and librarian and literacy specialist I’ve spoken to says the key to getting kids to read is to find out what they’re interested in. The second key is to broaden what you count as reading. Non-fiction, comics, manga–it’s all reading. Airplane manuals, magazines, blogs, tumblrs—IT’S ALL READING. It will probably turn out some of the kids you don’t think are reading actually are. Tailor your book recommendations accordingly. If they like superheroes, give them Ms. Marvel. If they like airplanes and astronauts give them non-fiction about women in those fields. Etc. This is one of the many amazing things that librarians do so well. Also do not get me started on those who tell kids what they’re reading isn’t challenging or complex enough. Let kids read what they want! Especially as the notion of complexity usually has to do with page count and some ridiculous formula about lexical density. Neither of which measures the complexity of the meaning of the words on the page. Do you know what’s a really simple game? Go. Thousands of years old and it took computers longer to learn how to be grandmasters of Go than the supposedly more complex chess. Do not get me started on the spuriousness of complexity as a virtue.3 Ooops. Too late. Studies show novels teach empathy. But if someone’s only reading novels about white, middle class folks, well, I wonder. If you want boys to become more empathetic encourage them to read books by and about girls, about boys who aren’t like them, about transkids. I recommend this for everyone. Especially white middle class folks like me. Truly, a steady diet of books/TV/movies/fakenews about folks like us is unhealthy and leads to disastrous election results. I’m convinced much of the panic about boys not reading is really a panic about how many more books there are about girls these days. For which, hurrah! 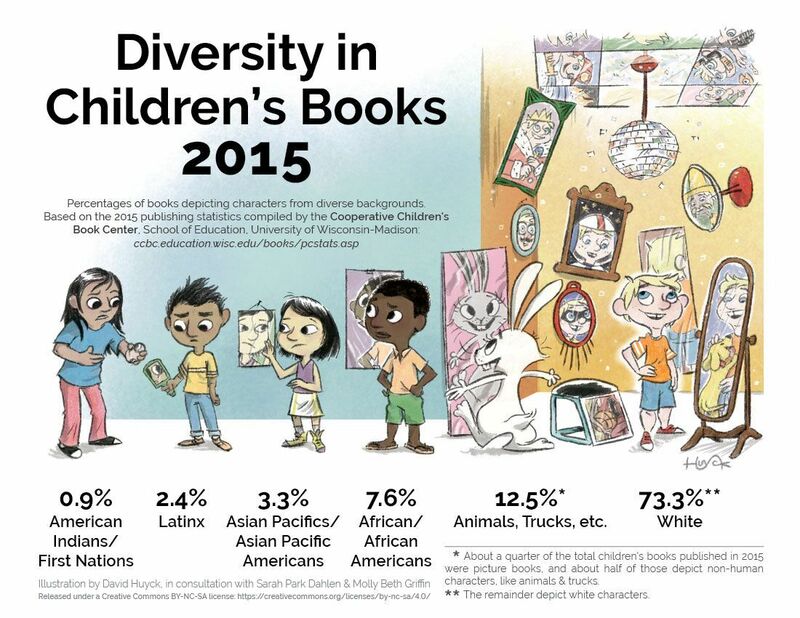 And yet picture books and early reader books still overwhelmingly have male protagonists. Middle grade is still more than fifty percent male. It’s only YA that’s dominated by female protagonists and we panic. Just think about that. Male protagonists dominate movies particularly animated movies4, TV, graphic novels, non-fiction, toys, games, and yet we’re all, What about the boys?! Some days I just can’t. At all. Me go do my job now of writing genderless novels for anyone who cares to read them. Note: Thanks to Sarah Park Dahlen for her comments on a draft of this. And thanks to Sarah and to Edi Campbell, Angie Manfredi, Debbie Reese and Ebony Elizabeth Thomas for influencing my thoughts on this subject. Posted in Ranting, State of the World, Young Adult literature. I have a student who discovered Sarah J. Maas’ Throne of Glass series. He told me this morning that some other guys were asking him why he was reading a “girl’s” book (judging the book by its cover). We talked briefly about how it’s not a “girl’s” book, it’s just a book with a badass girl character, and what an awesome character she is. He has no idea just how awesome because he’s only 2 books into the series. I can’t wait to see what he thinks after reading the next 3 books.